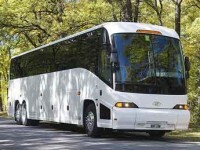 The following lists many sites of interest that can be incorporated into your tours. Many other options are also available. Our tours can be tailor-made to accommodate all your needs and interests. Our tours are from a Torah prospective and are designed to give you a true appreciation of Eretz Yisrael in a most enjoyable fashion. 8 Day Sample High School Trip (sample itinerary coming soon). The site contains excavations and restorations of many Upper City dwellings from the time of the Second Temple. The Cardo Maximus was the main street of Roman Byzantine Jerusalem. One of the largest and most significant archaeological park sites in the country. Reconstructed temple vessels, paintings of scenes from temple service, gold and marble model of the 2nd Temple. An underground walk that spans the whole length of the western wall of the Temple Mount. 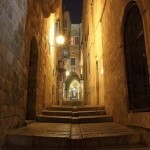 Understand the four quarters and the Jewish settling of the Old City throughout the years. Enjoy the view from the rooftops of the shuk, and a visit to the Kotel Katan and the Ataret Kohanim Yeshivah. The center of the Ashkenazic community of old Jerusalem. Destruction of the synagogue in 1948 was front-page news around the world. Remnants of the wall that King Chiskiahu built in the 8th century BC to guard against the attack of Sancherev King of Assyria. Understand the core of Yerushalayim. Guided with a Tanach understanding and a wet experience walking through Chiskiahu’s 3,000 yr old tunnel. 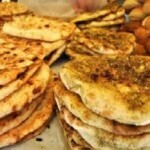 Visit the colorful, bustling Machaneh Yehuda open-air market as Jerusalem prepares for Shabbat. The fifth neighborhood to be built beyond the Old City walls, Me’ah She’arim, was established in 1874. Visit the Beit Yisrael and Yemin Moshe neighborhoods. Visit the grave of Samuel the Prophet. This Jordanian Army stronghold was conquered in a fierce and bloody battle by the paratroopers brigade of the Israeli Army in the Six Day War in 1967. After the battle, the hill was converted into a national memorial site and museum, dedicated to the liberation and reunification of Jerusalem and to the memory of the 182 soldiers who fell for the city and its surroundings. In the auditorium you can watch a 22-minute audio-visual program entitled “The Battle for Jerusalem”, describing the battles in and around Jerusalem during the Six-Day War. In Armon Hanatziv, East Talpiot, enjoy an astounding view of the Old and New cities, on the backdrop of the Judean desert. See a scaled reconstruction (1:50) of the city of Jerusalem and the Temple as it looked in 66 CE. Visit the Mount of Olives observation point and cemetery. Experience an amazing ride through Jerusalem’s 3000 year history through a 30 minute multimedia show. The show is translated into six languages. Visit the military cemetery in honor of the memory of Israel’s fallen soldiers who gave their lives to establish a secure Jewish homeland. Mount Herzl also contains the resting places of Theodore Herzl, Golda Meir, and Yitzhak Rabin. The Jerusalem Museum shows the history of Jerusalem throughout the ages. Crawl through small tunnels that were used for hiding during the Bar Kochva revolt to help get a feeling of the crisis of that time. (Soreq Cave, Avshalom Reserve) It may not be one of the largest caves in the world, but in beauty and variety it ranks among the best in the world. Enjoy the refreshing Sataf water spring in the hills of Yehudah. The Park displays hundreds of miniature replicas of sites, buildings and landscapes from around the country. These models are exact copies of sites of architectural, historical, religious, archeological and social importance. The radar hill on the outskirts of Jerusalem boasts a spectacular view of the coastal plain and Jerusalem. At the IDF Armored Corps. Museum, climb on the many and various tanks and learn about the battles that secured the road to Jerusalem. It is the largest collection of armored vehicles in the world! Uncover actual artifacts as you participate in an ongoing archeological dig. Kever of Shimshon Hagibor, Kever Dan, Tel Azeka – the battle site of David and Goliath. During the 5th century AD, the town of Bet Alpha built a beautiful synagogue containing one of the most beautiful and stunning mosaic floors discovered in Israel. Visitor to the site can watch a film presentation about life in the ancient village as well as the making of the synagogue’s mosaic floor. The Gilboa is a mountain ridge above the Valley of Jezreel. The name is referenced in the Bible as Mount Gilboa, and it also lent its name to the second battle fought in the valley below, in which the Philistines defeated Saul and Israel (the Battle of Gilboa in the Book of Samuel). Every year, in early spring, the Gilboa Iris flower grows on the mountain, and visitors from all over Israel come to see the purple flower as well as the spectacular view of the Jezreel valley with its cultivated land and beautiful serene villages. This Crusader fortress overlooking the Jordan Valley is the best preserved and only completely excavated Crusader-period fortress in Israel. A splendid overlook of Lake Kinneret. Originally built as a hot bath resort by the Romans (the hot water’s healing properties were recognized as an acceptable cure for a variety of ailments) Hamat Teveria later became the seat of the Sanhedrin (Jewish religious council). The remains of the synagogue at Hamat Teveria date to the time of the Sanhedrin’s use of the city. It is also the home of the oldest discovered mosaic in Israel. The hot baths of Tiberius are still in use today, though in a new, more modern facility, and are a popular spot for both foreign and Israeli visitors. Tour the synagogues, courtyards, and shops of the mystical city of Sefat. Visit the Graves of the Ari Hakadosh, the Beit Yosef, the Alshich and others in the old cemetery. Dip in the Mikvah of the Ari. One of the richest and most fascinating archeological discoveries in Israel, Tzippori gained fame when Rabbi Yehudah HaNasi moved to the city with the Sanhedrin (Jewish religious council), thus making Tzippori the seat of Jewish religious authority. Rabbi Yehudah completed the codification of the Oral Law into the Mishnah in Tzippori, and the scholars living in the city participated in the writing of the Jerusalem Talmud. Some of the primary excavations in Tzippori include a 4,500 seat Roman theater with a spectacular view of the valley below, a Crusader fortress at the top of the hill, living quarters from Mishnaic and Talmudic times and a number of Roman-period villas. However, the most extraordinary aspect of the finds at Tzippori is the abundance of exquisite mosaic floors. One villa in particular contains a beautiful and intricate mosaic of a woman’s face that has been dubbed the “Mona Lisa of the Galilee”. Ride a cable car up to a magnificent view of the Hulah valley. Enjoy repelling, zip lining, and a trampoline. At Kfar Kedem you can be a shepherd, plow your fields and bring in the harvest to the village threshing floor. Then grind the flour and bake your own bread. Join a donkey caravan heading to the hills above and end the day with a feast in the shepherd’s tent. Savor an experience from the time of the Mishna. Following the 2nd century Bar Kochva rebellion against the Romans, many of the Jews banned from Jerusalem headed north to the Galilee and settled in the Golan Heights. By the time 200 years had passed, there were nearly three dozen thriving, prosperous settlements in the region. One of them was Katzrin. Several buildings at Katzrin have been restored, allowing visitors to experience a Talmudic village life from over 1500 years ago. Watch an audio-visual program. Named for its characteristic hump (“gamal” in Hebrew means “camel”), Gamla is often called the “Massada of the North.” Like their compatriots at the famous desert fortress to the south, Gamla’s residents tried heroically to resist Roman conquest. this hot bath resort is situated at the southern tip of the Golan Heights region. The Golan Heights Winery, founded in 1983, produces premium varietals, proprietary blends and traditional method sparkling wines, marketed under the labels “Yarden”, “Gamla” and “Golan”. By combining state-of-the-art technology with traditional vinification techniques, the company has succeeded in producing award-winning wines, firmly placing Israel on the international wine map. Located at the foot of Mt. Hermon and the Golan Heights, in the northeastern corner of the Huleh Valley, the Tel Dan Nature Reserve encompasses both a fabulous landscape and the ruins (and partially restored remains) of an ancient Israelite city. Both the city and the rushing river that flows through the Nature Reserve are named for the Israelite tribe of Dan. Dan became synonymous with the northern border of Israel, such that the phrase “from Dan to Beersheva” came to symbolize all Israel. Visit an orthodox farming settlement on the Golan to understand and feel the life of pioneers inhabiting the land. See their fruit orchards, dairy herds, field crops, hadassim for Succot and sheep. A fascinating 3-screen film of the Golan Heights and understand why the Golan Heights is necessary for Israel’s survival. Located almost halfway between the modern Lebanese border and the city of Haifa, the coastal city of Acco (Acre) served as one of the key ports of Israel over much of its long history. Acco became part of the British Mandate in 1922, and Jews who fought the British are remembered in a museum, situated within the jail where they were once imprisoned. Visit the amazing Tunisian Synagogue, which is completely decorated with mosaics depicting stories from Jewish history. A flourishing, wealthy Jewish town from the 2nd to 4th centuries AD, Bet She’arim became the seat of the Sanhedrin (Jewish religious council). Visit the vast, ornately decorated necropolis discovered beneath the town. Numerous courtyards, corridors and stairways lead to the many underground burial chambers, all beautifully decorated in the artistic styles of the time. Enjoy a fun water walk in a Roman aqueduct. Tour archaeological digs and see the new virtual reality presentation of the Roman city as it appeared in Herod’s time. This is where Elijah the prophet faced off against the prophets of Ba’al. Take in the amazing view of the Carmel. Enjoy hands-on activities that simulate the life of Israel’s early kibbutz pioneers, such as baking in a wood oven, pitching a tent, building a mosaic floor, and solving early kibbutz members’ dilemmas. Re-live Ben Gurion’s moving declaration of the State. Climb down into the clandestine, underground, pre-State bullet factory built by the Haganah under the noses of the British who controlled Palestine at the time. The Palmach museum is dedicated to the history of the Jewish underground organization established in 1941. Old Jaffa – the city that has always been the entry to the ancient land of Israel – is one of the most attractive places to tour in Tel Aviv. History comes to life with a tour of the narrow lanes and winding streets of the Neve Tzedek neighborhood, the first Jewish neighborhood to be built outside Jaffa at the beginning of 1887, 22 years before the establishment of the City of Tel Aviv. The highest observatory in the Middle East (located on the 49th floor of the Round Building of the Azrieli Center), it is possible to see the coastline stretching from Ashkelon in the south, to Hadera in the north. The Museum of the Jewish Diaspora conveys the story of the Jewish people from the time of their expulsion from the Land of Israel 2,500 years ago to the present. It relates the unique story of the continuity of the Jewish people providing multiple avenues of personal historical identification. See a multimedia presentation about the valiant War of Independence battle fought to secure Tel Aviv against Egyptian invasion. Situated in the center of the Syrian-African fault, the Dead Sea is the lowest point in the world (417 meters below sea level). The Dead Sea also has the highest salt concentration of any of the world seas, making floating in its waters effortless. The high salinity of the water in the Dead Sea prevents the existence of any life in the water, hence its name. The beautiful Ein Gedi Oasis, mentioned in Shir Ha’Shirim, is the place where King David hid when King Shaul along with an army of 3,000 men gave chase. The area is filled with gushing falls and dense growth with many caves. In the many caves within the tall mountains by the shore of the Dead Sea, Jews hid during Roman times. It was in one of these caves at Kumran where the Dead Sea Scrolls were found. A symbol of Jewish Freedom, Masada, located on the Western shores of the Dead Sea, the lowest and one of the most desolate regions on earth, is a place of stark majestic beauty. It is also the site of one of the most dramatic episodes in Jewish history. Nineteen centuries ago on this gaunt plateau, a group of freedom fighters against the might of ancient Rome decided to kill themselves rather than submit to the oppressor’s yoke. Nahal Perazim is a beautiful narrow gorge with high walls formed by flowing water eroding into the soft sedimentary rocks. After a 15 minute walk through the gorge, you will reach the Flour Cave, dubbed so because of the flour-like substance you will have on your clothing when emerging from it. Or Gush Etzion as it is known in Hebrew, is located along the “Path of the Patriarchs,” in the heart of the historic homeland of the Jewish people. It sits among the hills and rocks flanking the Jerusalem-Hebron highway. Located along this route we will find an ancient ritual bath (Mikva) dating back to the period of the 2nd Temple and a winepress. These hills have been witness to so much of our history, ancient and modern. The Gush Etzion Memorial Museum at Kfar Etzion depicts the brave battle the settlers and the “35″ waged during the War of Independence and see the sound and light show depicting the modern history of Gush Etzion. Aside from the town of Efrat, there are 15 settlements included in Gush Etzion, including three kibbutzim. See how the residents of the Gush provide food and some TLC to the soldiers of this area. The famous caves located at the foot of Efrat was part of the aqueduct that brought water to Jerusalem. The Judaica Center gift store features the magnificent work of local artists. 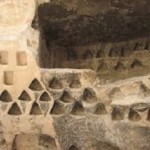 is King Herod’s summer palace and burial site. Hear the exciting story how this road saved Jerusalem! Pray at Rachel’s tomb, located on the outskirts of Beit Lechem (Bethlehem). Learn how the pioneers in the 1930′s and 40′s lived in this barren desert, isolated from the rest of Jewish population. One of the best preserved examples of a Nabatean city, Avdat, named after a Nabatean king who ruled in the second half of the first century BC, dominates the plateau of the Negev Highlands (over 600 meters above sea level) and was a center of commerce, culture and worship up until the Muslims conquered the Negev 700 years later. The Ein Ovdat Canyon developed along the northern fringes of the Ovdat Heights due to erosion by the Tsin Wadi. The springs of the stratum which emerge in the canyon create small oases around which rich plant life and wildlife exists. The oases form a spectacular and aesthetically impressive sight. Hike through the Large Machtash and collect its famous colored sand.